Plenty of new learning activities are being set up in Purple Class as part of our learning objectives for the spring term. A large part of this work is based around sound recognition. The teaching staff are helping the children to be able to identify different words. 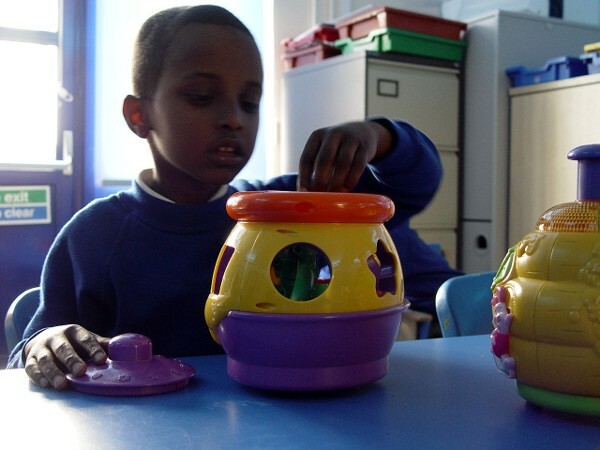 We ask the children to associate the sounds with objects that we can see around the classroom. Understanding directions and instructions have also formed part of this work. We have asked the children to understand requests such as line up for lunch, or to sit on the class carpet. Communication in Print and the Picture Exchange Mechanism are also helpful here. Work will soon start on our maths learning for the spring term. This will form the very early stages of learning. The children will be introduced to some of the first few numbers on the number line. We will be helping the children to recognise these and match the sounds with the numbers.